Thomas is a very smart student at his school. He excels in Math and French, but because of this he is called "teacher's pet" and "Genius" by the basketball team captain, Victor, and his friends. After school one day, coincidentally on his birthday, he runs into Victor and his friends and gets bullied verbally and physically. He does not tell his parents or grandparents when he gets home, but instead chooses to enjoy the birthday celebration they all planned for him. After all, he could use all the love he can get. But an unexpected thing happened when he started to worry and cry about having to go back to school and face Victor and his friends. The gift from his grandparents, a teddy bear named Sami, comes alive and offers Thomas some advice on how to stop his bullying problem. What does Sami the teddy bear say to Thomas? Will it work? Will he ever be happy and have friends at school without being bullied? 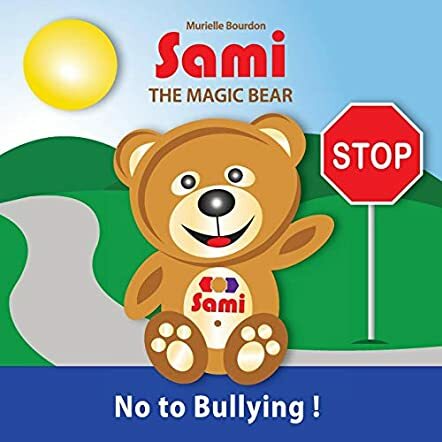 Sami the Magic Bear - No To Bullying, written and illustrated by Murielle Bourdon, is a delightful children's educational story. 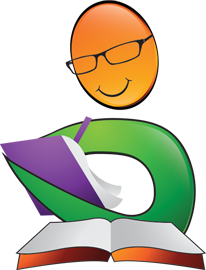 It introduces young readers to the concepts of bullying, self confidence, nervousness, self doubt, forgiveness, compromise, acceptance, and communication. Bullying is a serious issue in today's society and is surprisingly not talked about often enough within school systems or within individual households. Serious consequences occur when children who are being bullied keep that burden to themselves. Most often they are afraid of what the person doing the bullying will do to them if they tell someone else, and also might be ashamed to admit that they are being bullied. 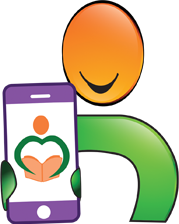 Most times, a young child needs just one friend to encourage them to create a solution to their bullying problem. Sami the Magic Bear: No to Bullying! by Murielle Bourdon is an educational children’s book exploring ways children can deal with bullies at school. A little boy, Thomas, is being bullied by boys at his school. He desperately wants to have friends, but because he is smart he finds himself tormented by other children. On his ninth birthday, one of the bullies, Victor, steals Thomas’s new baseball cap. Distraught, but unable to tell his parents what has happened, Thomas goes home. That night, his grandparents bring a very special gift to Thomas. With the help of his new friend, Sami the Magic Bear, will Thomas be able to solve his bullying problem? I thought this short picture book was very sweet. I do like stories that carry messages for children about how to stand up for themselves against bullies. I would definitely recommend this book to teachers of school aged children. It would be a great complementary piece of reading to a unit on bullying. I like that Thomas was able to finally able to speak up for himself to the principal. I would have liked to see more adults in the story that children could go to if they needed help. Perhaps a bit at the end of the book about who a child could speak to if they’re feeling bullied. Maybe Sami the Magic Bear could have a little section at the end about safe adults to confide in, like Thomas’s parents, grandparents, or his teacher. Sami the Magic Bear: No to Bullying! by Murielle Bourdon is an easy method to use to approach the complicated subject of bullying with young children. Sami the Magic Bear - No To Bullying! is a children's educational picture book written and illustrated by Murielle Bourdon. Thomas is just turning 9 years old, and he's a great student in school, especially in mathematics and French, but he's unhappy with what's been happening at school. Thomas is a bit shy and doesn't really know how to make friends, and he gets bullied a lot, especially by Victor, who's on the basketball team. Thomas received a new baseball cap from his parents for his birthday, but Victor takes it and pushes Thomas down. When Thomas gets home, he doesn't tell his parents about Victor's bullying and he tries to forget it. He enjoys his birthday lunch and cake with his parents and grandparents. His grandparents have brought him a present, Sami, a magical bear who has some pretty good solutions for Thomas's bullying problems. Murielle Bourdon's children's educational picture book, Sami the Magic Bear - No To Bullying! 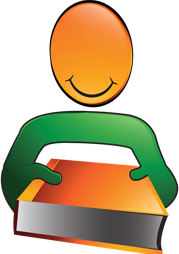 is well-written and beautifully illustrated. Thomas's problem is shared by many kids who do well in school or are different, and who attract the attention and envy of other classmates. Kids know it's not cool to tell on their classmates, so many of them silently endure the bullying. Bourdon's magic bear offers kids an alternative to being a tattletale that can actually improve the lives of both the tormented kid and his tormentor. I was quite impressed with the creative and practical solution Thomas offers to the Dean of his school and think this book could open the door for some useful adult/kid discussions both at home and in school. Sami the Magic Bear - No To Bullying! is most highly recommended. Sami the Magic Bear – No To Bullying by Murielle Bourdon is the story of Thomas who is bullied by a group of boys at school. On his ninth birthday, a group of boys push him to the floor and take his nice new baseball cap that he got for a birthday present. Thomas is bruised and even has a cut on his face. His parents are worried when he gets home, but his grandparents are there to celebrate his birthday with him and he enjoys his special day. One special present is Sami, a magical bear whose job is to help boys like Thomas. He tells Thomas what he must do. Thomas takes Sami to school the next day and goes to speak to the Dean of the school. A plan is hatched to deal with the bullies. This is a story that many children will relate to as bullying is a major problem both in school and out. So this is a useful story to show children a way to deal with bullies. The addition of the magic bear is a nice aspect and children always love the idea of magic so it will draw their attention to the story. 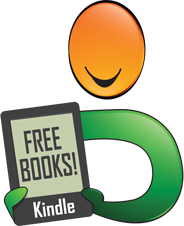 This book will also give parents an opportunity to discuss bullying with their child and to examine ways to deal with bullies, as the story suggests. The illustrations are colourful and will draw the young reader into the story well. This is a book that deals with current issues and will be a useful addition and aid for any parent who is concerned their child may be being bullied. Sami the Magic Bear - No To Bullying! is written and illustrated by Murielle Bourdon. In this story, it's Thomas's birthday. He should be celebrating with his friends, accepting well wishes and enjoying a birthday part with games, gifts and cake. Instead, only his teacher wishes him Happy Birthday and only his parents and grandparents wait at home to help him celebrate. Why? Thomas is very quiet and shy. He is also very smart. This does not go over well with some of the boys in the class who are not as smart as Thomas. Victor is one of those boys and he can be rather tough at times. In fact, when it comes to Thomas, Victor is a mean bully. On the way home from school, on his birthday, Victor takes Thomas's new red cap, a birthday present from his mom, and pushes Thomas to the ground. It's not a very pleasant way to spend a birthday, but when Thomas gets home, he's happy to see his grandparents and they have a special gift for Thomas that will help him deal with his problems. The gift is a teddy bear, but not just any teddy bear. This one is special; it's magical and its name is Sami. While Thomas doesn't feel comfortable talking to his parents about the bullying, he is comfortable talking to Sami and, with Sami's help, Thomas comes up with a solution that will not only stop the bullying, but also help Thomas make a new friend - none other than Victor, the bully! Murielle Bourdon has created a wonderful, heartwarming story that will help those understand the problem associated with schoolyard bullies. There is a good lesson for everyone to learn in this story, and that is to treat everyone equally and with respect.